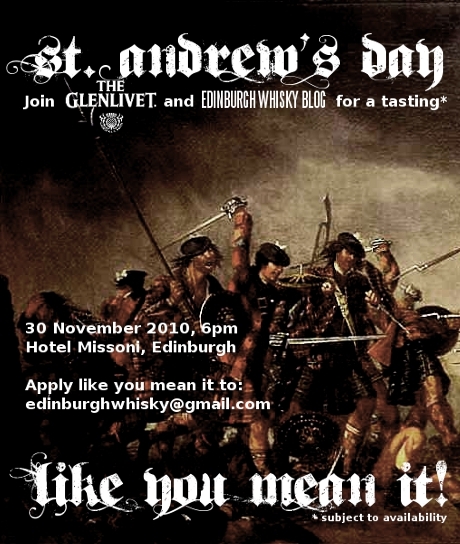 Celebrate St. Andrew’s Day Like You Mean It! Man up and celebrate Scottishness like you mean it on St. Andrew’s Day this year! 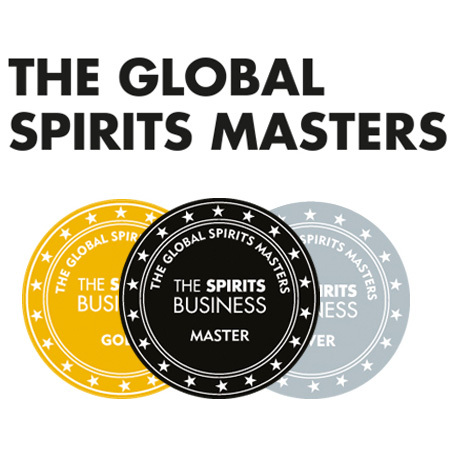 Join Ian Logan from The Glenlivet and us two for a rather special tasting on 30th November at 6pm in Hotel Missoni, 1 George IV Bridge, Edinburgh, Scotland. It’s free and it’s going to rock your world. 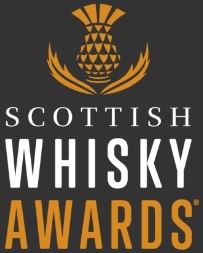 One drawback is that there are only 15 spots so apply like you bloody mean it to edinburghwhisky@gmail.com! On Friday the 12th Nov we will draw 15 names and get in touch with the winners. And for the rest? There will be no pardon. Don’t bother applying if you are under 18. In London at the time? Neil and Joel from caskstrength.net are hosting a similar tasting, try with them. Entries made after the draw will obviously not be considered so apply promptly for a chance to join us. This entry was posted	on Friday, November 5th, 2010 at 10:11 pm	and is filed under Events. You can follow any responses to this entry through the RSS 2.0 feed. Responses are currently closed, but you can trackback from your own site.